I was able to match the stain exactly to the original finish. 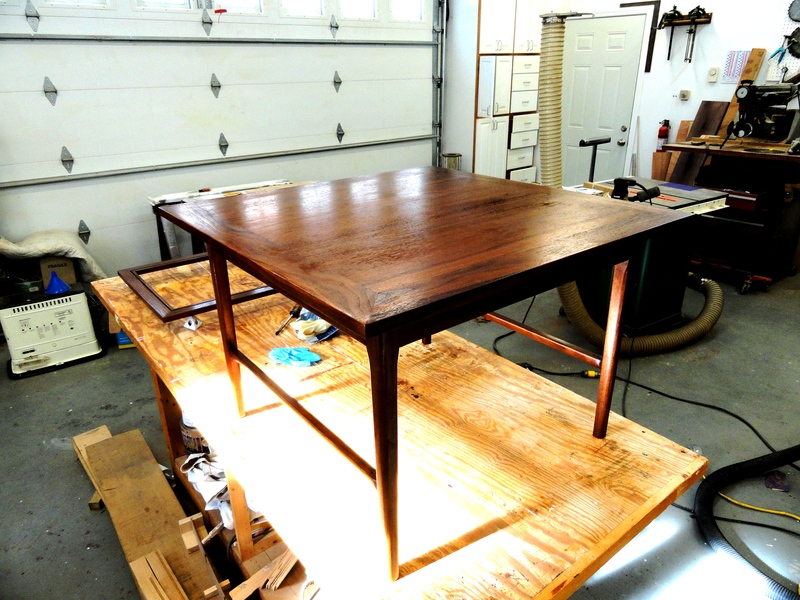 The picture below shows the table with the stain and one coat of urethane. I plan on a minimum of five coats of urethane. This will take me all week. I expect the canning material to show up right about the time I complete the finish.